WILD YAK EXPEDITIONS proposes the ascent of Mount Everest via the South Cole route. “Sagarmantha” for the Sherpas, the heart of the Himalaya. WILD YAK EXPEDITIONS proposes to start its Everest Expedition from Kathmandu with an impressive flight to Lukla above the highest chain of mountains in the world. On the way to the Base Camp of Mount Everest, you will enjoy a first contact with the Sherpa local population of the Khumbu valley and discover their traditions. The colorful Buddhist culture with its numerous Chorten (Buddhist Stupa) and prayer flags floating in the sky, defining the 5 elements of life (blue/sky, white/air, red/fire, green/water, yellow/ground). Last but not least, to maximise our acclimatisation process, we first make the ascent of Lobuche Peak, which offers a fabulous view on our goal: Mount Everest. The climbing history of Mount Everest started on its north side, in Tibet. For three decades, expeditions from all around the world tried to scale the mountain from the north side to in order to conquer it. They were fighting to be the first nation on top of the world. In 1921 the first expedition was a British reconnaissance from Darjeeling through Tibet led by Lt Col K. Howard-Bury. In 1924, Leigh Mallory and Andrew Irvine took part in another British expedition. The legend persists about whether they may have reached the Summit. After several further expedition attempts, on 20 May 1953, there was finally a British success with Sir Edmund Hillary and Tenzing Norgay Sherpa, but from the Nepalese South-side, as Tibet was closed after the war. Mount Everest is today the focus of numerous commercial expeditions. And the aspiration high point of many people’s journey to Nepal. Mount Everest also known as Chomolangma, its Tibetan name. It means ‘Valley or District of the Birds’ and was used by the Tibetan government in the passports for the 1921 expedition. It was described as a probable corruption of Chomo Lobzangma, meaning ‘Liberal Minded Goddess’. The Indian Government formally adopted Mount Everest, named after Sir George Everest, Surveyor General of India, in 1865. It was previously registered as Peak 15. The Nepalese Government uses the name Sagarmantha, derived from Sanskrit, and meaning ‘Sky Head’. WILD YAK EXPEDITIONS Team consists of highly trained and skilled new generation climbing Sherpa Guides. Our Team is thus well-experienced in Alpine climbing techniques and has numerous experiences of high altitude climbing. Besides this, our Climbing Sherpa Guides are fluent in various languages. Last but not least, are kind and helpful! Warm down sleeping bag and down jacket are also available for each participant for the duration of the Expedition.To sum up, WILD YAK provides you with the best Safety features. After all safety and security is what we seek for you! WHY TO GO FOR AN ADVENTURE? Wild Yak Expeditions believes an adventure in the outdoors provides various health benefits ranging from physical to mental to spiritual. Himalaya is the best place where we have enough time to discover our life by positive well being. It is essential to make some space from the worldly news, social media and busy life to be productive. Beside personal benefits, it contributes to helping the local economy by visiting the areas. WILD YAK EXPEDITIONS’ Team welcomes you in the Himalaya. We commit to organise small groups of 6 participants maximum with high-quality services and security. Indeed, this is essential for flexibility, contentment and precious exchanges of cultures and traditions with our local Team. Finally, hospitality to our Guests and economy to locals are part of our aspirations. WILD YAK EXPEDITIONS’ philosophy is: as much as possible is included in the quoted price so that you know the total costs of your Everest Expedition in advance! Any other expense that is not included in the above quoted Expedition price. * Contact us for the booking of your international flight. ** Additional personal Sherpa, oxygen bottle and its accessories must be booked in advance, 60 days prior to the departure date. WILD YAK EXPEDITIONS is focusing on group sizes of 4 to 6 participants only for this Everest Expedition because our experience has found this to be the best way to have a successful Journey while providing excellent services. Furthermore, it creates a pleasant ambiance within the Group, including an exchange of cultures and traditions between you and our local Team. Last but not least, WILD YAK EXPEDITIONS’ focus on small groups permits more flexibility and support to the participants individually. Kathmandu: we stay at the famous Hyatt Heritage Regency 5-star Hotel on a sharing basis, including breakfasts to prepare the best for the present Everest Expedition. All dinners are served in excellent restaurants in town where you can enjoy various types of cuisine, from the typical Nepali, Thai, and even steaks and Italian meals. Each restaurant has been screened by WILD YAK EXPEDITIONS representatives to ensure that it is of suitable quality for our guests. The individual beverages until Everest Base Camp are on each participant's own charge. During our Trekking: we stay in the lodges (small traditional mountain guesthouses) that are recommended by WILD YAK EXPEDITIONS as per defined itinerary destination. Please be aware that single rooms are not available. Though there are mostly blankets available at the lodges, we recommend taking your own sleeping bag. Please note also that in the majority of the lodges the toilets are common. Showers are available in some of the lodges. Many lodges serve a variety of cuisines such as continental, Indian, Tibetan and local cooking. Please note that the beverages are on each participant’s own charge, except coffee and the selection of teas that are served for breakfast and in the afternoons upon your arrival, as well as some special snacks provided by WILD YAK EXPEDITIONS. Everest Base Camp: WILD YAK EXPEDITIONS’ Everest Base Camp is comfortable, warm and well organized. Each participant has an individual extra double large tent (about 165cm high). Light, insulation from ground and an extra large thick mattress with soft pillow are provided for each individual tent. Our triple skin base Primaloft dining tent is heated at evening (by heater) and the ground is insulated and topped up with a Tibetan carpet. Our kitchen is hygienic, clean and equipped with modern utensils and stoves. Likewise the shower tent is facilitated with hot gas system, shampoo, shower gel, body lotion and mirror are at the guests' disposal. The toilet tent is big enough to render a high altitude toilet comfortable, equipped with toilet paper and fresh Odinel. A water bucket with soap and hand sanitizer is at your disposal besides the dining tent. Similarly, a store tent and communication tent will be set up, depending the number of participants. Radio, Internet, phone and batteries charging facilities are part of our Everest Base Camp. During the Expedition, you can enjoy various kinds of food, from the typical Nepali food to all types of international cuisine (Tibetan, Continental, European, Indian, Japanese etc.). Fresh breads, cakes and cookies at Base Camp, along with varieties of drinks, among others, hot chocolate, coffee and fruit juice. Fresh vegetables, fruits and meat are supplied as regularly as possible from our Kitchen Team. On request, for higher camps, a freshly cooked hygienic food or a packed food (as per condition) can be provided from our Kitchen Team as well as drinks and snacks. Lights and Generator: Our Everest Base Camp is also equipped with a solar charging system and a powerful generator for high altitude (less noise but more power in the altitude). WILD YAK EXPEDITIONS believes in a high level of security while operating its Expedition to Mount Everest and provides accordingly the Expedition members with all the necessary means in order to optimise their chance to summit Mount Everest. The success of this Everest Expedition depends on both the personal condition of each participant and the experience of our Team. WILD YAK EXPEDITIONS’ Team has been carefully selected according to the experience of each of its members in the specific environment and their personal aptitudes. Our Team is thus highly experienced, skilled, trained, courteous and helpful. WILD YAK EXPEDITIONS’ is proud to support its local staff by providing it with a fair salary, encouraging it to take part in mountaineering workshops, wilderness first aid training, environmental preservation courses, garbage management, team leadership, and language refreshers on a regular basis. Our Climbing Sherpa Guides Team: is a professional qualified team with great experience in guiding at high altitudes in the Himalaya, in particular on Mount Everest or other 8000-meter peaks. It is assuring the safety requirements but it will also help as an interpreter with the local populations. The Sherpa Team follows the members during the climbing periods. It fixes the tents, the ropes in some essential parts of the mountain and assists you during your ascent days for the summit push. Each member of the Everest Expedition has one personal climbing Sherpa during the entire climbing period. Furthermore, one extra climbing Sherpa is at disposal of 2 participants for the transport of the collective material (tents, cooking stove, food, ropes). It is also providing you with interesting information about the mountains, the culture and traditions of this part of the Himalaya. Our Sherpa Team makes sure that the rubbish is properly managed and the different Camps are kept clean throughout the whole Expedition. Our Kitchen Team: plays a vital role during the entire Everest Expedition. WILD YAK EXPEDITIONS Cooks are specialized, experienced and trained in outdoor cooking at high altitudes, respecting the fundamental principles of hygiene and proper management of the base camp and its surroundings. The role of the Cook is also to manage the Everest Base Camp in the absence of the Sirdar. The Kitchen Team is setting up two further kitchens besides Lobuche camps and Everest Base Camp, namely in Everest Camp 1 and Camp 2 at above 6000 meters (above sea level). Different types of cuisine and bakeries are served during the climbing period. Our Kitchen Team ensures also that the garbage is properly managed and the campsite is kept clean after its use. Our Porters: WILD YAK EXPEDITIONS has it own reliable porters. It is their responsibility to carry your luggage during the trekking until the Base Camp of Everest with proper handling standards. WILD YAK EXPEDITIONS is very concerned about the porters. We support and respect the porters’ rights and have high standards to make sure that they are treated well. We pay them a fair salary, including a bonus and providing them with good food allowances, clothes, shoes, sunglasses, rescue and medical insurances to improve their conditions of life. During this Everest Expedition, yaks are used to carry heavy loads. It is then the responsibility of the yak driver to ensure that the transportation of your material is done in an appropriate manner. Before we choose the mountain to scale, we want to know some important details about its climbing route. Considering the experience of the mountain guides and ascenders, we developed a simple system of grading, which may help you to choose the right Mountain to climb up depending on your aptitude. Our grading system consists of 3 levels, which are I, II and III. Fitness: excellent body strength, endurance and stamina, high level of effi ciency in the altitude, excellent mental attitude to deal with the strenuous situations of the high altitude. 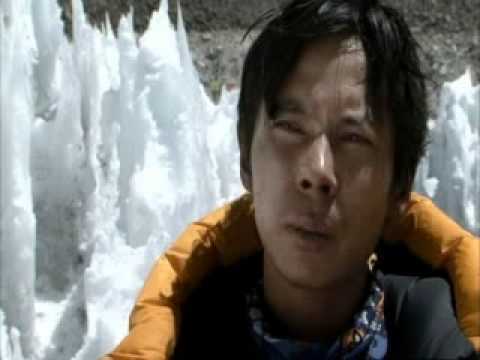 Technical Skill: advanced climbing skill, confident climber in blue ice, mixture of rock and ice, very good knowledge of all the climbing gear, excellent general knowledge of high altitude medicine and reanimation. Climbing Experience: at least a 7000 to 8000-meter mountain climbing experience. Strength: capacity to carry an 8-15 kg backpack in the high altitude environments. Summit Distance Overall: 10-17 hrs from the last High Camp and back to such Camp. Steep Sections: 50 to 800 meters long parts with a steepness of 35-55 degrees. Ice Climbing Sections: some places of 10 to 200 meters elevation and 35-60 degrees. Mix of Rock and Ice Climbing: few sections of 10 to 100 meters elevation. Altitude: 6000 meters to 8850 meters.